“Hey Clog, you haven’t written about frogs in a while . Anything going on with them?” Glad you asked. In fact there is—on NPR’s “All Things Considered,” host Guy Raz interviewed  UC Berkeley biology prof Tyrone Hayes about the effects of pesticide Atrazine on frogs, namely, gend’rification. 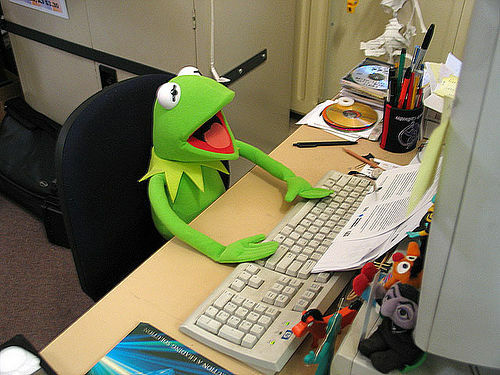 We only hope Kermit is reading this post from wherever it is he lives .